Tell us a little bit about you, a relatively new owner of the Spaaah Shop, and a bit about the shop. The spa has been around since approximately 2005. My mother-in-law purchased the business back in 2010 so I’ve been around it quite a bit. My husband and I weren’t local at the time, but we were around the shop a lot and we worked in it a bit over the summers so we got a feel for it. When we moved here in 2016, my mother-in-law really expressed an interest in wanting to retire and so we took a look at the business and knew it had a lot of potential. It needed a little tender loving care, but we decided to go for it. We just thought it was such a great staple in the community and there’s not really a lot of other stores like this one where women and men can come and purchase items like the ones we carry. We just wanted to continue with the tradition and keep it going. What have you learned about Durango since moving here? It’s been great being a business owner because it’s really given me an opportunity to get to know the community a lot better in a more intimate way and really be involved. The independent business owners are so involved here and they want the town to succeed and really want to make a difference, it amazes me. Just going to meetings and having people want to be successful is great and that has really helped give me opportunities to get to know the community a lot better. What products or services do you offer that maybe can’t be found at chains? We recently put out a survey on social media to ask all of our followers what they want to see and alot of them really want to see natural products. We get a lot of people coming in here wanting to take care of their skin, requesting things that are natural and better for you and so we listened to them. So my manager and I went to a few conferences to try to get to know what was really out there and find new products that our customers are looking for. The store hasn’t really changed for awhile, product wise and we felt that since we’re retail, we should have a constant turnover of new products. So that’s what you’ll be seeing or have been seeing are not only from requests from clients and customers but just from what my manager and I have seen out there at these conferences and learning what people are looking for. We do try to stick with some name brands that are recognizable but we also want to honor the local business owners too, those independent people who make candles or make their own salve or so forth so that’s kind of another part of the business we love as well. What can you offer that chains don’t? Anyone can go into one of the chains and play around with the makeup and they have people around there that help you and they may be knowledgeable to some extent, but our staff, particularly our up front staff, are really helpful and knowledgeable. We go through trainings-the reps come and train us on all new products that come out and we carry a few different lines of makeup vs. just one. Here, we actually spend time with you if you need to be color matched or whatever else wherase, I don’t think you get that kind of personalized service when you’re going into a chain. Even when you go into for instance, Bare Minerals–a boutique, they are not very hands on. They kind of let you play around and figure everything yourself and then they are there for you when you have questions. We kind of dive in and really help you out from the get-go. And in the spa, when we’re talking about services, our whole motto is that we want to create more of an experience and we want to be known as the local’s spa. We’ve tried to do a marketing campaign in the last year, just kind of marketing to our locals because they’re really the people that get us through the year. We may do great in the summer because we have tourists and everything but I think those locals are really important, so we’ve implemented programs that are loyalty services. They come in and get services and get a punch card so they’re loyal to us as a shop, but it also make them loyal to the therapists or the nail tech. Our therapists then are able to start building a report with those clients as well and that’s really only done with the locals. We also offer some services that some people just don’t. We have a girl, Lee, who is offering ashiatsu massage which is just all feet–she has bars on the ceiling and she uses just her feet and she is maybe one of two people who do it in Durango. Trying to make each girl have some sort of specialty so that way people can go there for that speciality. We’re open for business, the spa, massages, everything. 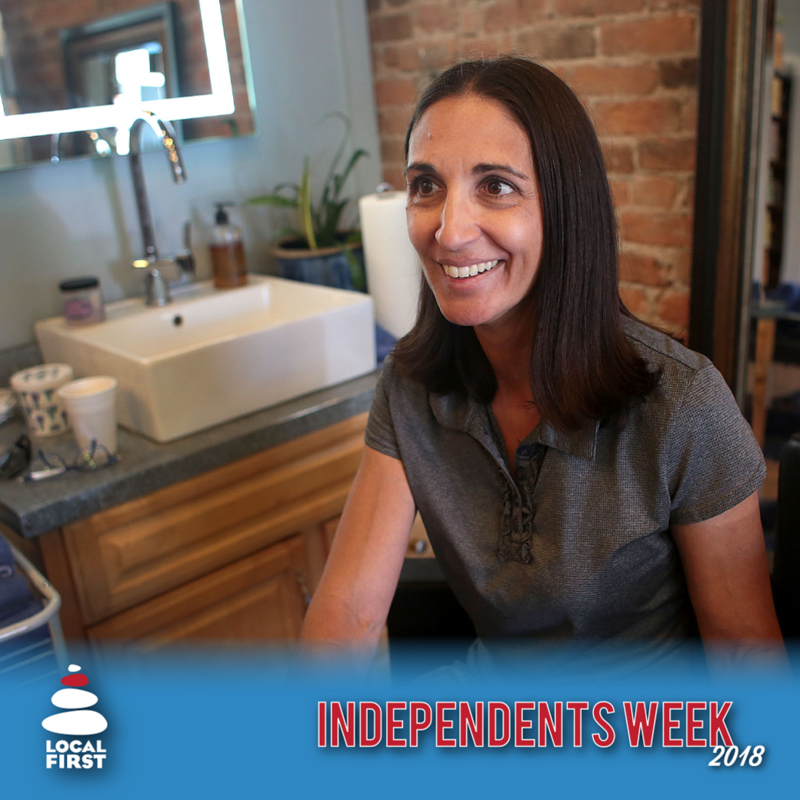 Independence week is a huge week here in Durango period, I know we won’t have fireworks or anything, but we didn’t have them last year either so, as a business I think we’ll just do some specials, we usually do some sort of specialty services or makeup. But, we’re definitely open for business that day.